Elsie and Frances feel sad for adults who simply can’t see the magic in the forests around them. If only they could see what we see. In 1918, Elsie Wright and her cousin Frances Griffith photographed fairies in their garden, in the small village of Cottingley (Yorkshire). Without expecting it, many people paid attention—including renowned writer and spiritualist Sir Arthur Conan Doyle. 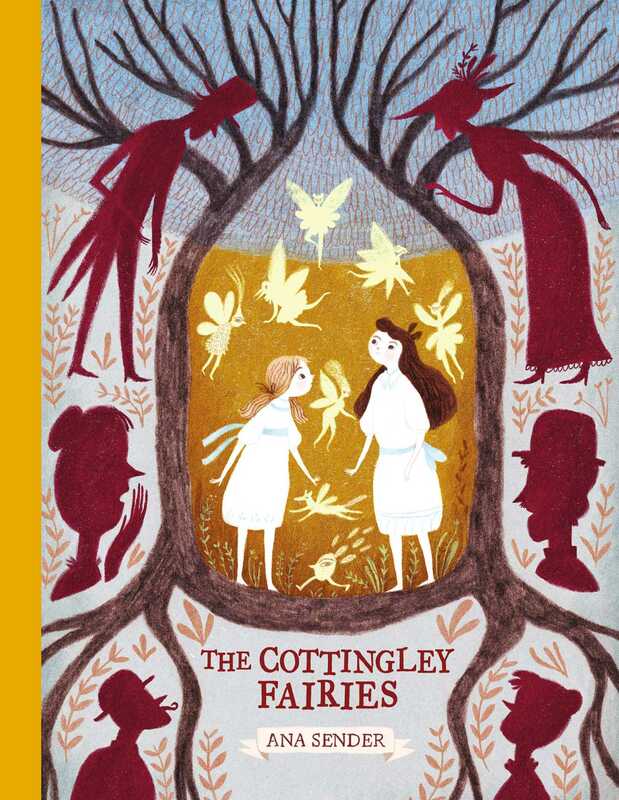 This is the story, narrated by Elsie herself, of the true events that led to the Cottingley Fairies becoming a international phenomenon. Ana Sender was born in Terrassa (Barcelona), Spain in 1978. She studied Fine Arts and illustration at the Massana Art School in Barcelona, and completed her studies at the Francesca Bonemaisson school. She draws, writes, and imagines all sorts of stories. Her works have appeared both in many books and newspapers. Ana lives near the forest. Many of her illustrations are inspired by her dreams. She likes werewolves, wild things, and green swampy places. Whimsical pencil illustrations, rendered in simple lines, patterns, and a somber palette of grays, blues, and tans, transport the enigmatic text to the fringe of fairyland...an intriguing, enchantingly rendered real fairy tale. With its appealing drawings and intriguing historical context, this (literal) fairy tale delights. ...the text is perfectly complimented by the line drawings done in blues, browns, and grays...This would be a great read aloud, but it is also a book that young readers will want to pick up and read on their own.